A new beta server is currently going out and now includes built-in Live TV support, improved performance, and many other enhancements. As you know we really enjoy Live TV here at Emby, but with our support previously dependent on external software, we know that it hasn't always been easy to get up and running. 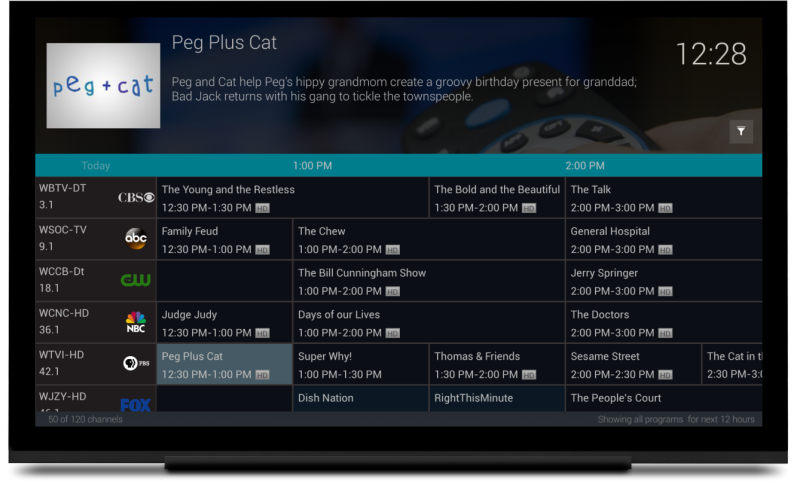 Today, we're pleased to bring you built-in Live TV support that does not require any additional software. Let's go over how it works. 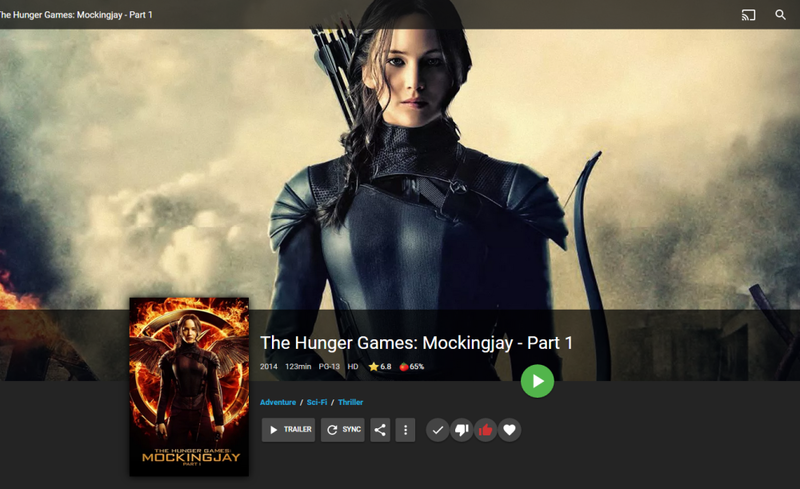 Note: The EmbyTV plugin is now obsolete and has been removed from our plugin listings. Users with EmbyTV installed should uninstall it and switch to the built-in version. The startup wizard makes this very simple for you. In most cases, we'll be able to discover your tuner devices. If not, then you can easily enter the IP Address of the device. M3U playlists are also supported as a tuner source. Currently we have one source, and that is Schedules Direct, but we plan to add more sources for additional countries in the future. We'd also like to support Xml TV data. Setup is very easy. Just enter your info and you're good to go. We think this screen speaks for itself. 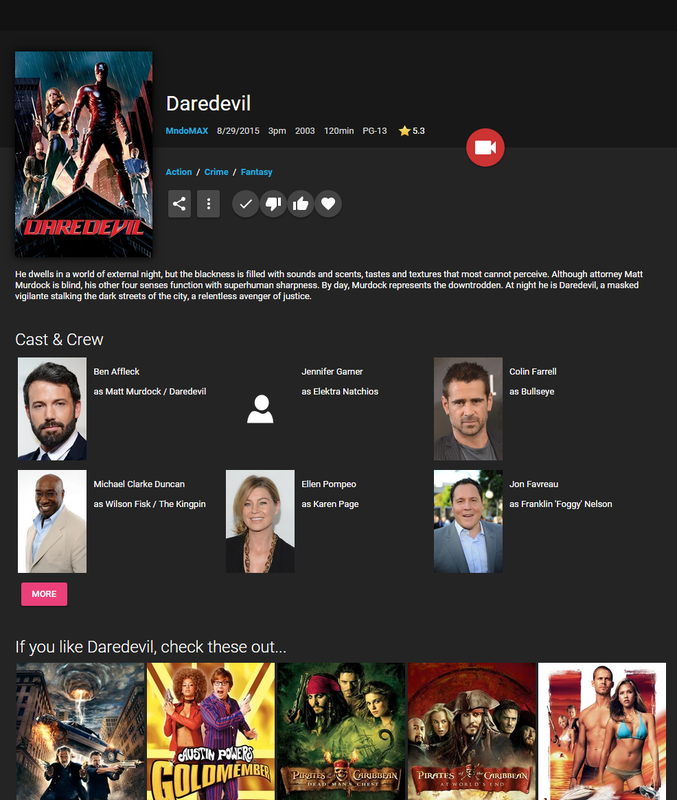 Rich metadata displays make it very easy to find something you'd like to watch, or record. 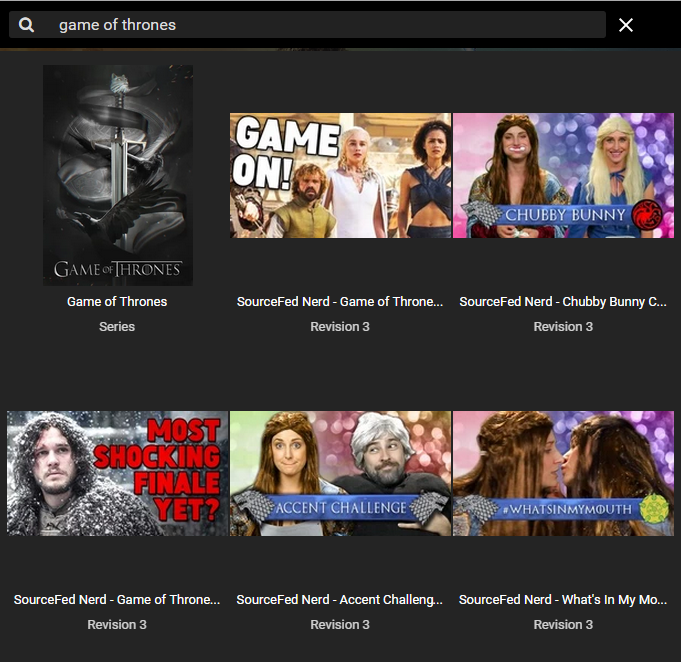 Whether it's Android for smart phones, tablets, Android TV, Amazon Fire TV, Windows Tablets, Windows Phone, Roku or a web browser, Emby has you covered. Stay tuned for iOS support as well as the new Emby Theater! If you have multiple tuner devices, great! Emby will automatically group them into one virtual channel grid, and will appropriately delegate streaming in order to prevent conflicts from multiple clients. If you have an HD Homerun that supports H264 transcoding, Emby will take advantage of it whenever possible in order to offload transcoding and preserve resources on your server machine. Would you like to limit the programs and channels your children can access? It's easy, and it's nearly automatic. 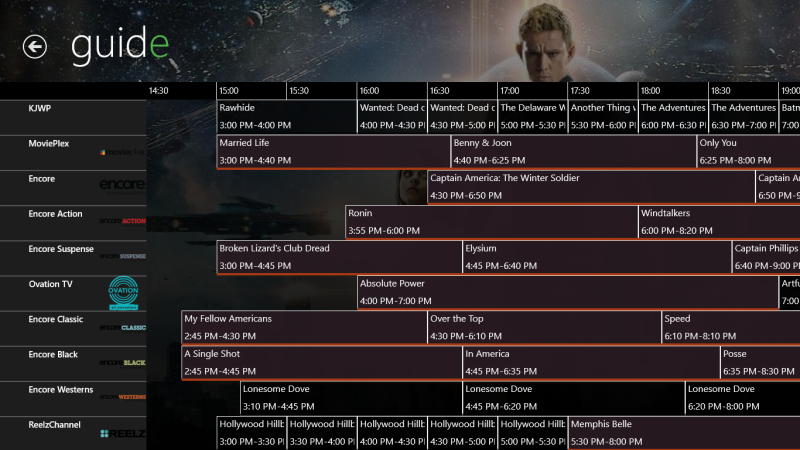 When you set a max parental rating for your users, they will not even be able to see restricted programs in their TV Guide. To block entire channels, you can set your own parental ratings for certain channels, or you can use the block by tags feature. 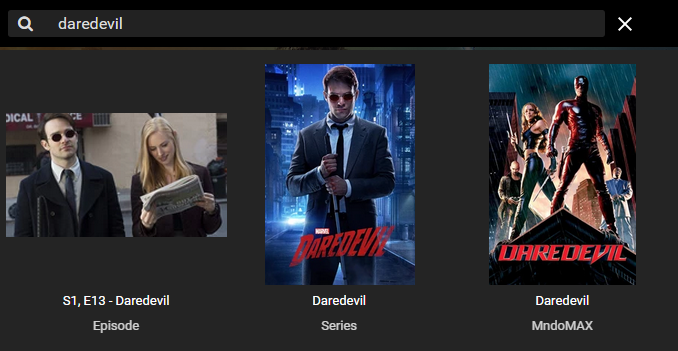 Your likes and watch states are now transferable from Live TV movies to movies in your media library. We plan to soon bring the same features to TV series, allowing you to blend data from every possible source into one seamless experience. Only on Emby. 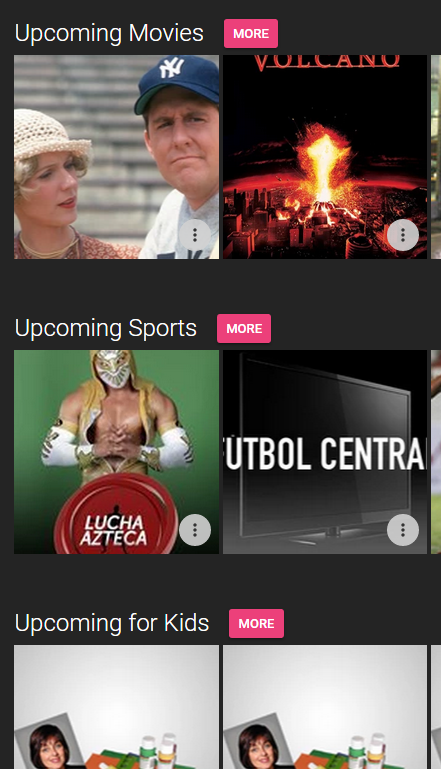 Live TV and internet channel content are now searchable! Now you can toggle repeat mode using the now playing bar. It allows you to quickly change between Repeat None, Repeat All, and Repeat One. Not only is this supported by the local player, but also when remote controlling other players that have added support for it. The next time you play a song, head over to the now playing screen. There's a new button that will allow you to launch a photo or movie backdrop slideshow that will play and transition between images while your media is playing in the background. It's a perfect time to put family photos up on the screen with your favorite songs playing in the background. We think you'll agree. Detail screens are easier to read and focus on the things you love most. We really haven't used them in a while due to the number of metadata features we have. But they add a nice touch to your movie screens, we just felt we had to bring them back. Support for MB2-style shortcuts has been deprecated in order to improve performance. They are still supported for boxsets, but if you need them elsewhere you will have to set a hidden config setting, EnableWindowsShortcuts. The internet channel content downloading feature has been moved to a plugin. All features are still available, it's just in a plugin now. For fresh new installs of the server, there will only be one supported metadata saving format per content type. If you need xml saving it is being moved to a plugin. Please note - the feature remains in the core server code for existing server installations. That means your existing install won't be disrupted at all. But the next time you install from scratch, you'll need the plugin if you want the alternative formats. Also, this doesn't affect xml reading, as we want the core server to be able read as many formats as possible to make it easy for new users to get up and running. Wow wow wow, now I can upgrade to Windows 10... I was not happy with any other Live tv programs including, next pvr, kodi, and media portal. thank you, I will test right away!!!! Mine attempted an update and failed, now the exe is no longer there for the server. i checked the logs and it shows that it renamed a folder.old, but I cannot find it to restore it. Will I have to reinstall the server again? What is the server default recording path? I see the option to change it, but it would be nice to know where it would default to so I don't accidentally fill the system drive up if I'm just experimenting with it. Holy crap that is a lot of power! Nice job Luke. Great news! Can't wait for xmltv support, there are no usefull guideservices available in Holland so xmltv is the only option. Thanks for each and every brilliant update! Does this support encrypted channels? To really replace Media Center, need support for encrypted channels. Which I'm guessing is not possible currently. If we could only get Direct stream or direct play to work on live TV in the Emby ATV app this would be perfect! I gave this a try. When you say we should uninstall the Emby TV plugin, do you mean uninstall the plugin like ServerWMC? Without ServeWMC installed it cannot find mt HDHomeruns. It gives me an error saying there was an error saving the TV provider. Please make sure it is accessible and try again, even after I put in the IP address. Something I need to enable through my firewall maybe? Maybe change the compatibility mode in the tuner settings? Well done to the entire team! This release has been very stable and the new screens look great (much less clutter). I was able to register my HDHomerunPrime and keep my WMC guide which is free. Any plans to interface with Ceton tuners? Well, Installed windows 10, couldn't get new server to recognize my HDHR3-US and I also couldn't get it to set up any libraries so I went back to 8.1 MCE. I was debating upgrading my HDHR but when I couldn't get any of my libraries working either I decided against it. I am going to keep my eyes open for the newer models of the HDHomeruns to go on sale! I have dual usb tuners running with next pvr windows 10. How do I add these tuners under your new server, it only brings up hd homerun? Actually, it works fine with the copy-protected channels that normally only WMC would tune. I tried it out with my HDHomeRun prime when it was still just the plugin earlier this month and was amazed that it could tune every channel that even the HDHomeRun View app wouldn't touch. Do you have an anti-virus? If I had to guess, maybe it quarantined the exe after the update due to a false positive. Is this version available for linux? If so, how do I install the beta version? Awesome work guys. This is really great. I am looking to move to windows 10 and this is perfect timing. 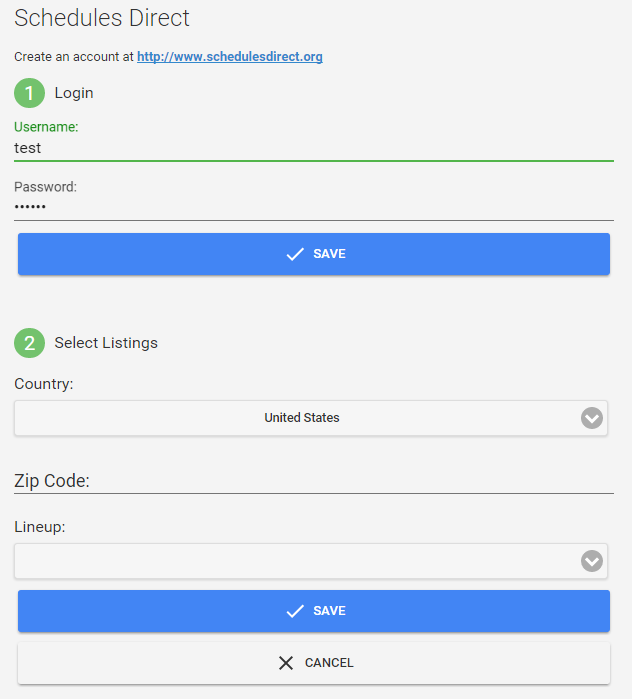 Unfortunately I am in Australia and schedulesdirect is not supported.